I ran across this photo in one of the Patterson albums. 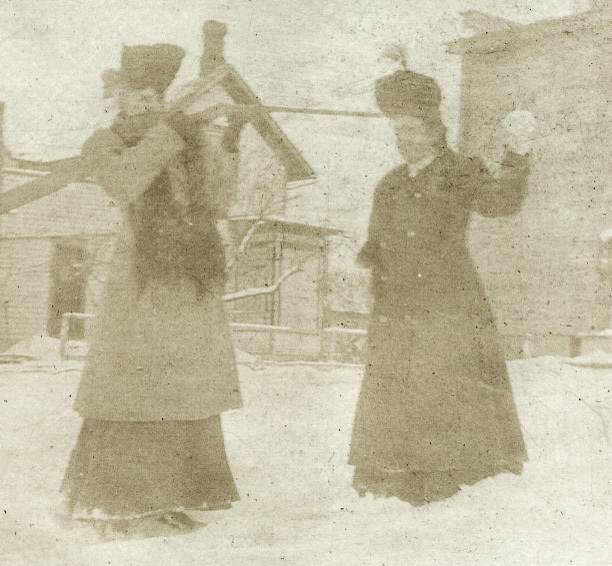 It is badly faded, and I can’t tell who is in the picture, but it is very clear that the Pattersons took their snowball fights very seriously. I still have thousands of photos to look through; many of those will eventually make it here!